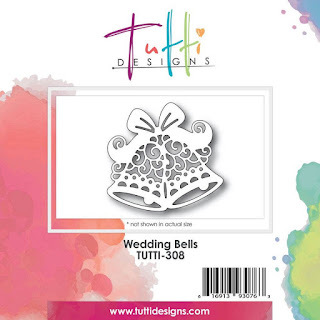 Tutti Designs: Silver Wedding Bells. Today is from this months new release Wedding Bells , TUTTI-308. 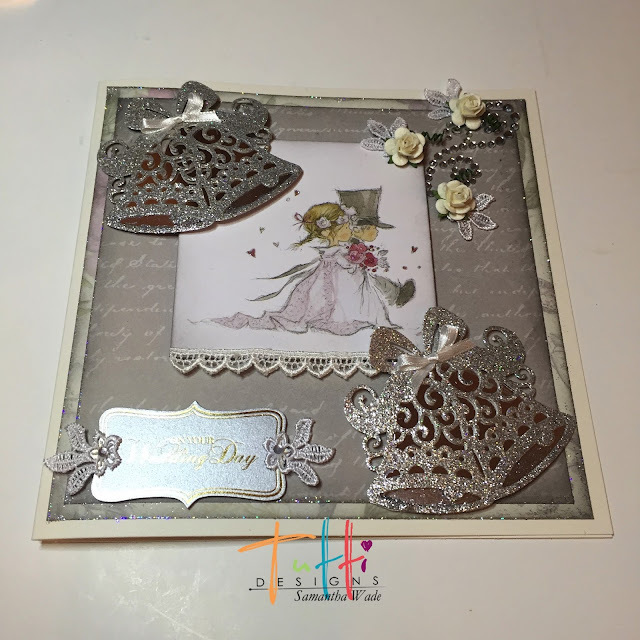 Using silver glitter card, die cut your bells twice. Then with silver mirror card cut around the bells to back them, by drawing a line around the outside edge. They look so effective and quick and easy. 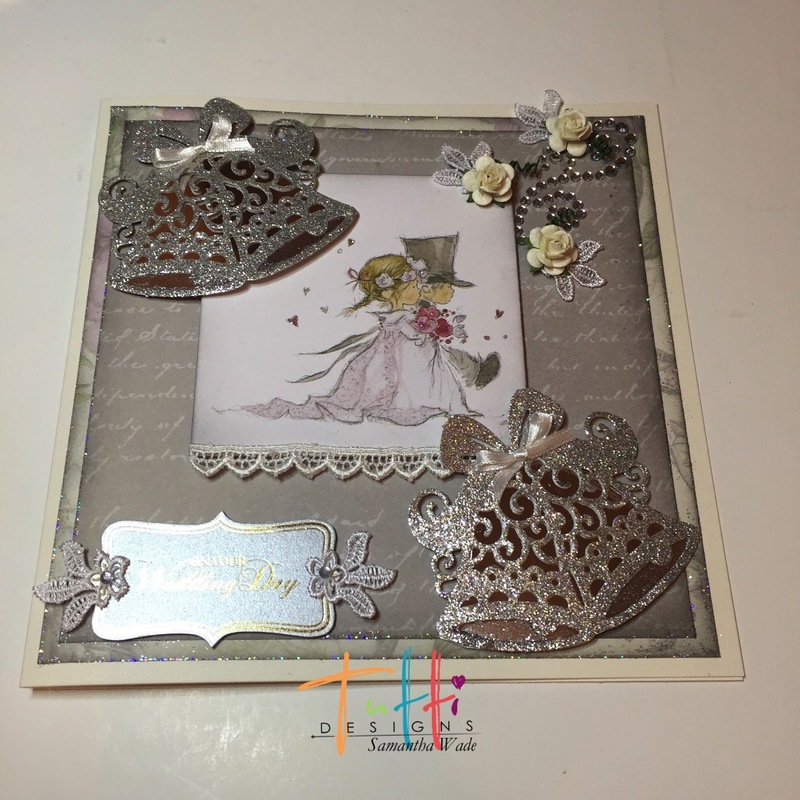 Create your card with grey papers, matted and layered, some gems, flowers, lace and a wedding sentiment. 3D your bells around your wedding topper and add a white bow to the bells. Oh Samantha this is just GORGEOUS! 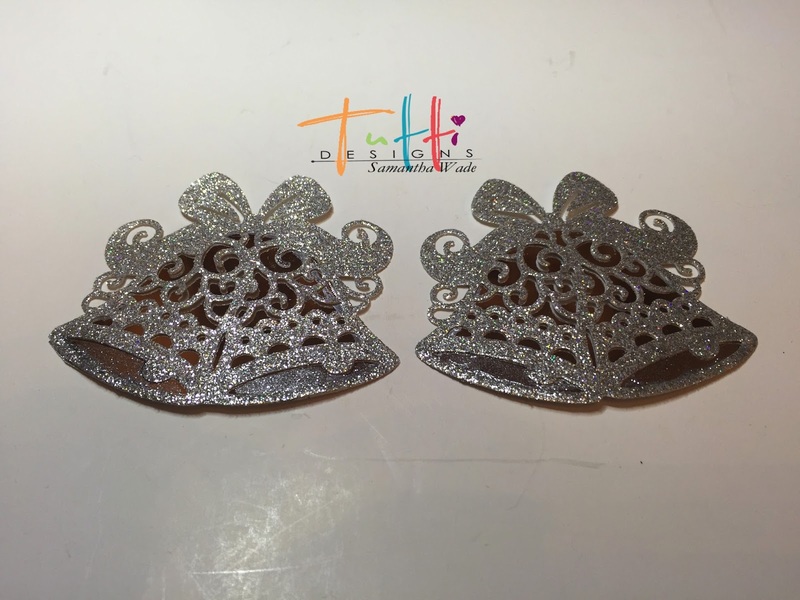 What a great idea to use the silver glitter paper for the bells ... makes it so much more special! And perfect with this adorable couple!! Awesome inspiration ... thanks!